A perfect welcome for the birth of a baby boy. 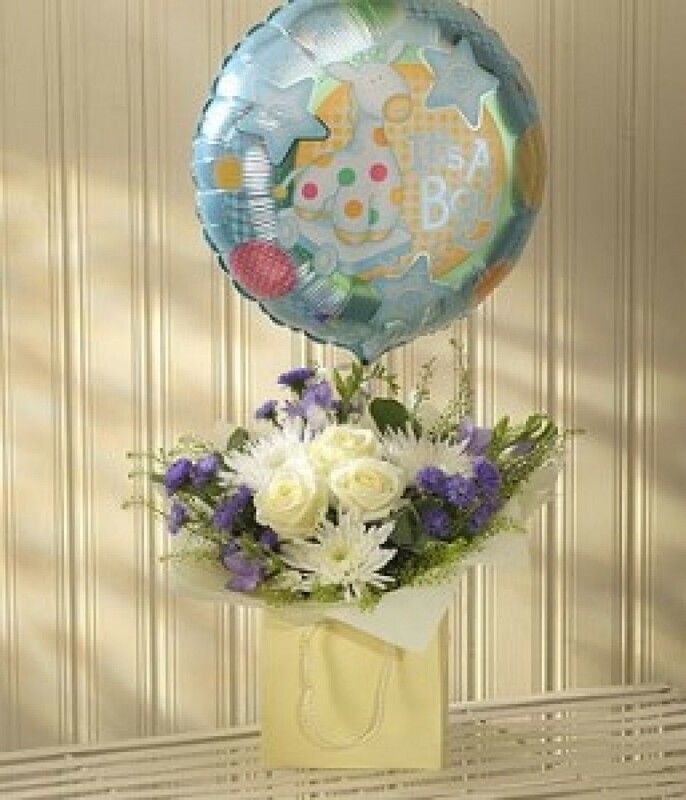 This beautiful hand-tied bouquet features Roses, fragrant Freesia, bloom Chrysanthemums and Aster. Delivered in an aqua pack presentation bag with a balloon.